imagesthai.com royalty-free stock images ,photos, illustrations, music and vectors - Glass of cold beer at sunset on the background of wheat field and blue sky. Summer landscape. Recreation and relax. Fresh brewed ale. 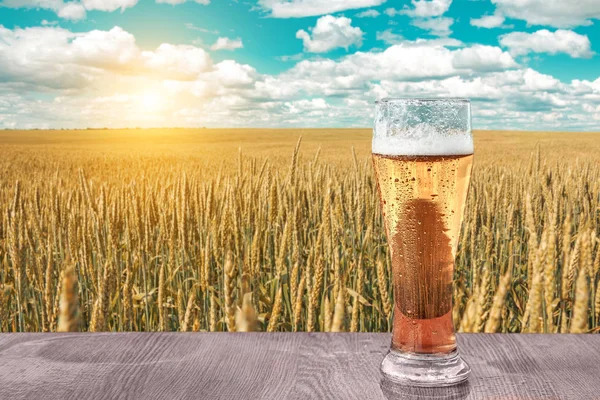 Glass of cold beer at sunset on the background of wheat field and blue sky. Summer landscape. Recreation and relax. Fresh brewed ale.